Step off the beaten path and head to Palm Cove Beach and Balloon Rides. Get outdoors at Scuba & Snorkeling and Trinity Beach. Step out of Cairns to go to Palm Cove and see Hartley's Crocodile Adventures, which is approximately 44 minutes away. Spend the 1st (Sat) wandering through the wild on a nature and wildlife tour. There's much more to do: admire the natural beauty at Botanical Gardens, stop by Australian Leather Company, have fun at Muddy's Playground, and get a new perspective on things with Shaolin Junk Cruises. To find where to stay, traveler tips, ratings, and tourist information, use the Cairns online driving holiday planner . Hannover, Germany to Cairns is an approximately 25-hour combination of train and flight. You can also do a combination of train, taxi, and flight. The time zone difference when traveling from Hannover to Cairns is 9 hours. While traveling from Hannover, expect somewhat warmer days and much warmer nights in Cairns, ranging from highs of 32°C to lows of 24°C. Wrap up your sightseeing on the 3rd (Mon) to allow time to travel to Alice Springs. Get in touch with nature at Alice Springs Desert Park and Trephina Gorge Nature Park. Explore hidden gems such as Walking tours and The Kangaroo Sanctuary. Spend the 6th (Thu) exploring nature at Finke Gorge National Park. And it doesn't end there: contemplate the long history of Alice Springs Telegraph Station Historical Reserve, look for all kinds of wild species at Alice Springs Reptile Centre, take some stellar pictures from Anzac Hill, and explore the wealth of natural beauty at Emily Gap. Plan my day in Alice Springs using traveler tips and tourist information provided by Inspirock. Traveling by flight from Cairns to Alice Springs takes 4.5 hours. Alternatively, you can drive; or take a bus. When traveling from Cairns in June, plan for a bit cooler days and cooler nights in Alice Springs: temperatures range from 23°C by day to 5°C at night. Cap off your sightseeing on the 8th (Sat) early enough to travel to Uluru-Kata Tjuta National Park. Get a sense of the local culture at Kata Tjuta and Walpa Gorge. Step out of the city life by going to Uluru and Kuniya Walk. 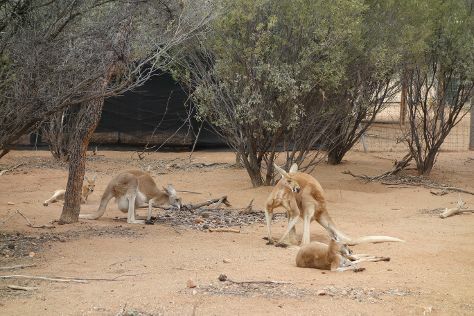 Next up on the itinerary: hike along Uluru Hiking Path, take in the pleasant sights at Lungkata Walk, take an unforgettable tour with a helicopter tour, and identify plant and animal life at Red Desert Reptiles. To see where to stay, reviews, other places to visit, and other tourist information, refer to the Uluru-Kata Tjuta National Park trip maker tool . You can do a combination of taxi and flight from Alice Springs to Uluru-Kata Tjuta National Park in 2 hours. Another option is to drive. In June, plan for daily highs up to 22°C, and evening lows to 7°C. Finish your sightseeing early on the 12th (Wed) so you can travel to Melbourne. Deepen your sense of the past at sights like Old Melbourne Gaol and Redesdale Bridge. Get some cultural insight at Shrine of Remembrance and St Paul's Cathedral. Change things up with these side-trips from Melbourne: Ballarat Wildlife Park (in Ballarat), Spas & Wellness (in Daylesford) and Our Lady of the Rosary Church (in Kyneton). Dedicate the 13th (Thu) to wine at some of the top wineries in the area. There's much more to do: see the interesting displays at Melbourne Museum, tour the pleasant surroundings at Melbourne Zoo, take in the architecture and atmosphere at Wesley Church Melbourne, and see a world frozen in time at Steiglitz. Take the guesswork out of planning a Melbourne vacation by using our trip itinerary maker. Traveling by flight from Uluru-Kata Tjuta National Park to Melbourne takes 5 hours. Alternatively, you can drive. Traveling from Uluru-Kata Tjuta National Park in June, expect nights in Melbourne to be about the same, around 6°C, while days are a bit cooler, around 16°C. Finish your sightseeing early on the 17th (Mon) so you can travel to Sydney. 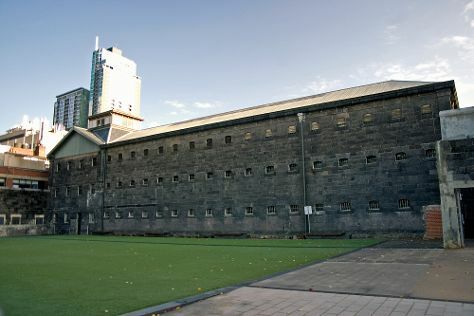 Popular historic sites such as The Rocks and Justice & Police Museum are in your itinerary. Satisfy your inner culture vulture at Sydney Opera House and The National Pass. 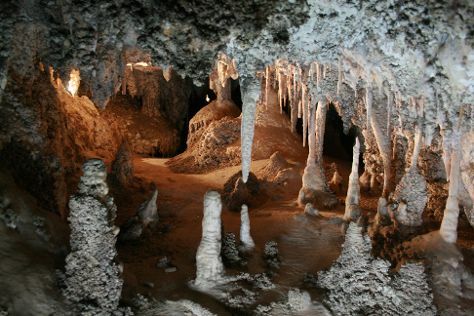 You'll find plenty of places to visit near Sydney: Nan Tien Temple (in Wollongong), Kiama Blowhole (in Kiama) and Jenolan Caves (in Jenolan Caves). Spend the 20th (Thu) exploring nature at Sydney Harbour National Park. Spend the 23rd (Sun) exploring nature at Bouddi National Park. And it doesn't end there: trek along Bondi to Coogee Beach Coastal Walk, steep yourself in history at Millers Point, kick back and relax at Bondi Beach, and stroll through Manly Beach. To find photos, reviews, and more tourist information, you can read our Sydney trip planner. Fly from Melbourne to Sydney in 3.5 hours. Alternatively, you can do a combination of shuttle and flight; or drive. Expect a bit warmer temperatures when traveling from Melbourne in June; daily highs in Sydney reach 21°C and lows reach 11°C. Cap off your sightseeing on the 25th (Tue) early enough to travel back home.